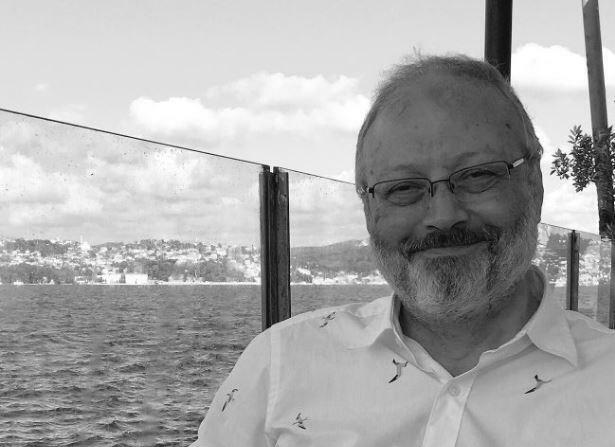 ANKARA, Turkey -- The fiancee of slain Saudi journalist Jamal Khashoggi has expressed "shock and sadness" over unconfirmed reports suggesting that his body may have been dissolved with chemicals. Hatice Cengiz said on Twitter late Thursday that Khashoggi's killers had deprived his loved ones of conducting funeral prayers and burying him in Medina, Saudi Arabia, as he had wished. Turkey says the Washington Post columnist, who was critical of the Saudi crown prince, was strangled and dismembered at the Saudi Consulate in Istanbul on Oct. 2 by a 15-member assassination squad. Many observers, including some prominent U.S. lawmakers, suspect Saudi Crown Prince Mohammed bin Salman had some role in ordering the murder. Turkish officials have also suggested that the orders came from the highest levels of the Saudi royal family, but Ankara has repeatedly said it does not believe the crown prince's father, King Salman, was behind the killing. Media reports have suggested that Khashoggi's body, which has not been found, could have been chemically dissolved. "I'm unable to express my sorrow to learn about dissolving your body Jamal! They killed you and chopped up your body, depriving me and your family of conducting your funeral prayer and burying you in Madinah as wished. Are these killers and those behind it human beings?" Cengiz said in her Friday tweet. I'm unable to express my sorrow to learn about dissolving your body Jamal! They killed you and chopped up your body, depriving me and your family of conducting your funeral prayer and burying you in Madinah as wished. Are these killers and those behind it human beings? In a message to The Associated Press on Friday, she said she had not received any information from officials to confirm the reports, which originated from pan Arab satellite channel Al Jazeera on Thursday, saying Khashoggi's body had been dissolved with acid. Turkish media had reported earlier in the week -- again, always citing anonymous sources -- that trace amounts of acid had been discovered in a well at the Saudi consulate property in Istanbul, and in the sewer system around it.